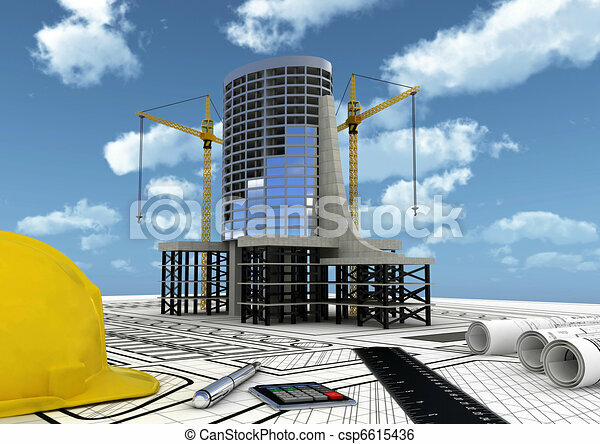 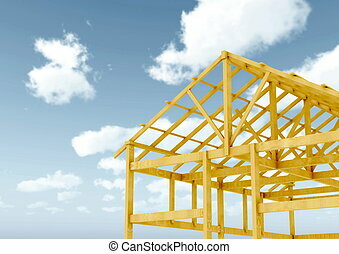 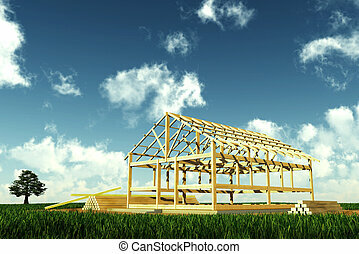 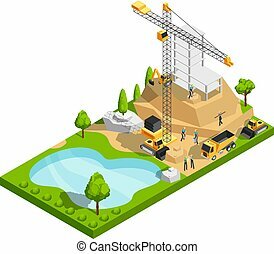 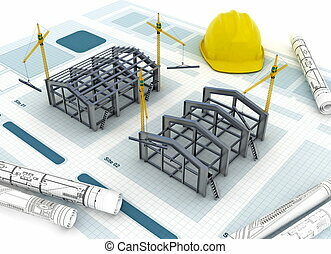 commercial building construction. 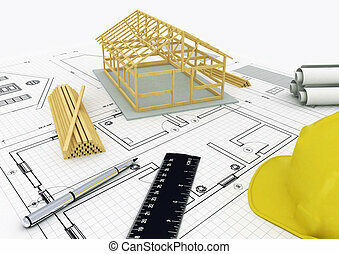 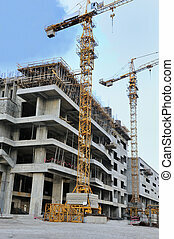 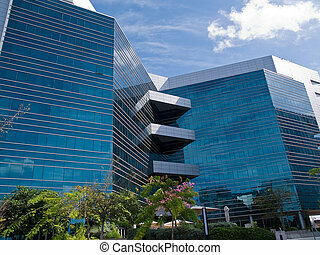 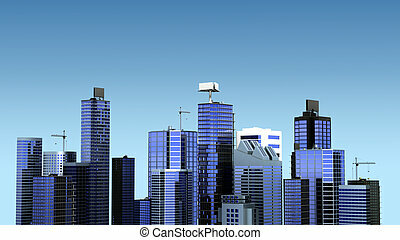 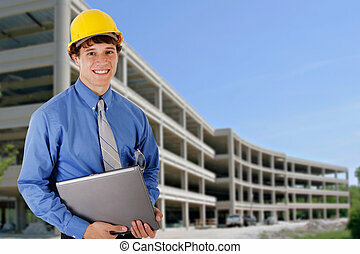 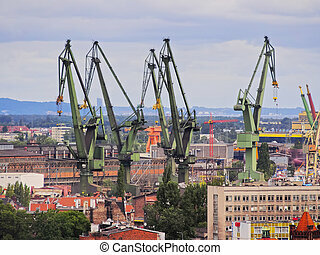 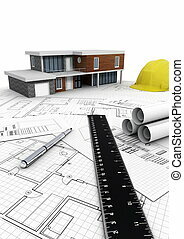 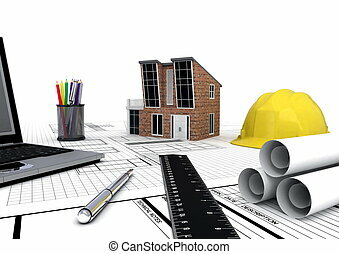 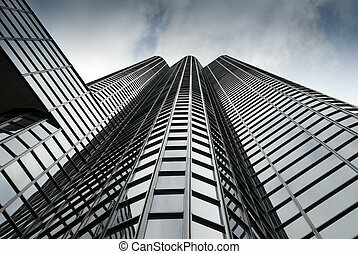 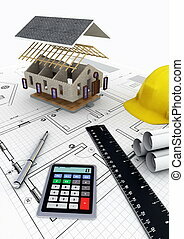 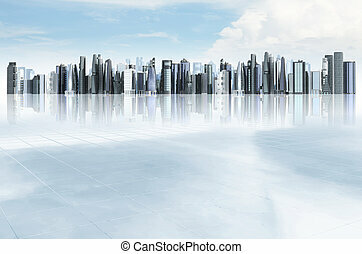 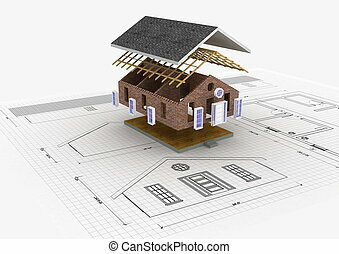 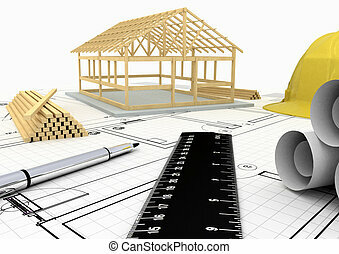 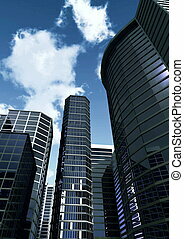 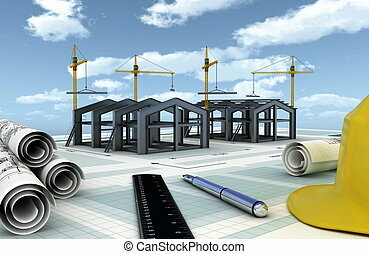 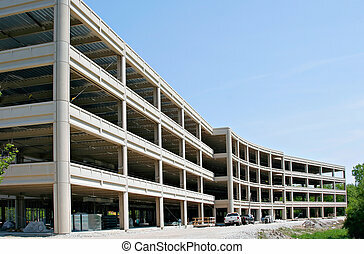 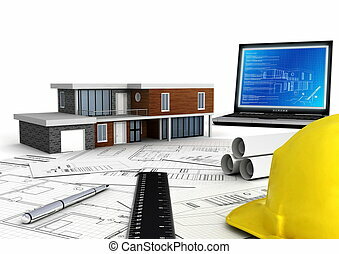 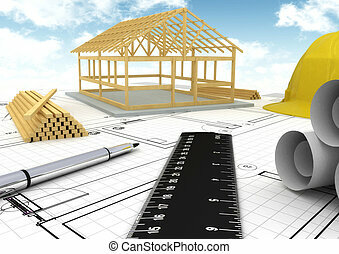 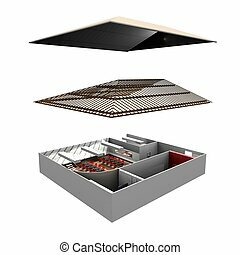 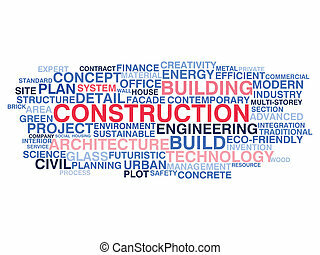 Concept of planning, constructing and building a commercial building project. 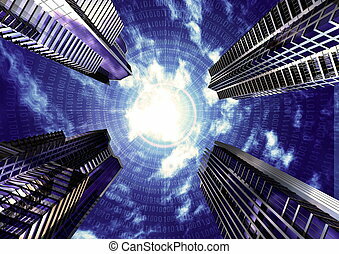 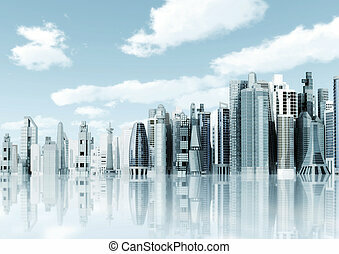 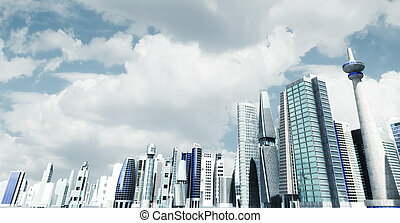 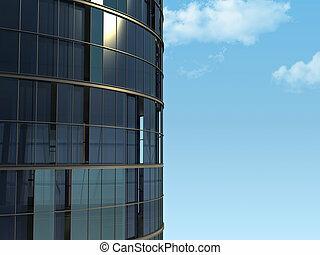 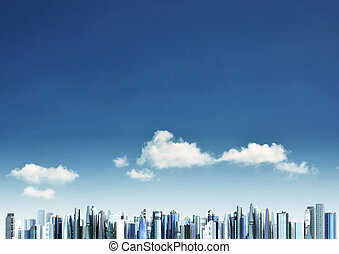 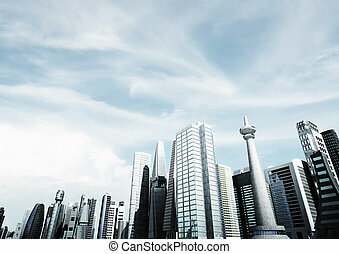 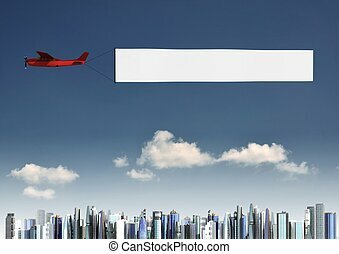 commercial building on sky background. 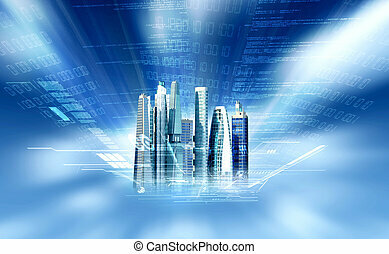 digitally generated image.